Designed by legendary designer Yiannis Tseklenis, Vedema Resort is included in Travel & Leisure’s New T+L 500 List of Best Hotels in the World. Vedema Resort has announced it’s due to open for the summer 2013 season on 15 May 2013 and is delighted to launch its 1st Greek Gastronomy Festival, as 2013 is a Year of Gastronomy for Santorini. Did you know that a visit to Santorini would still be a unique experience even if the island wasn’t as breathtakingly beautiful as it is? Did you know that visitors here enjoy a feast not just for their eyes but also for their taste buds? The dazzling light and the Aegean breeze combined with the island’s fertile volcanic soil nurture the local agricultural products, endowing them with top quality and a unique taste. The most renowned products from Santorini are: fava, white aubergines, cherry tomatoes, capers and several varieties wine. If you needed any additional reasons to visit Vedema, it was recently voted in to the prestigious annual Travel and Leisure T+L 500 List – considered to be the world’s leading compendium of highest-ranking hotels and resorts. 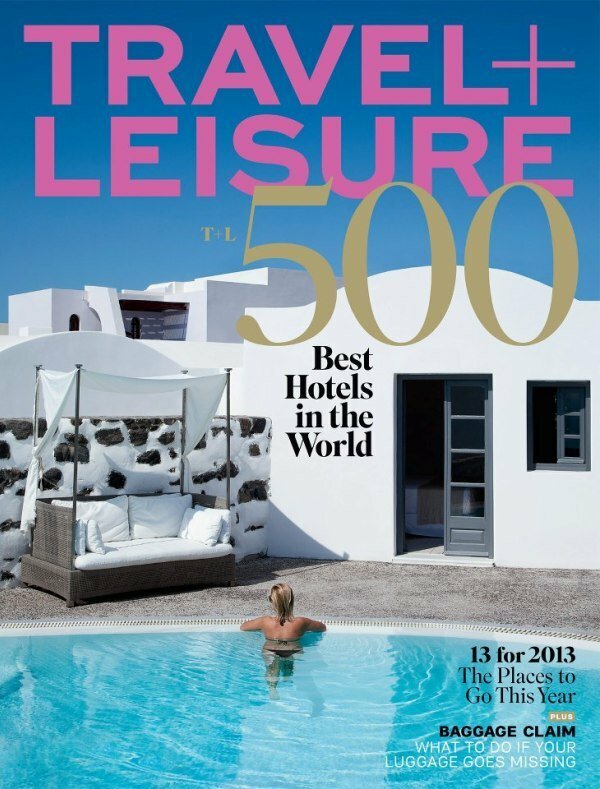 The 2012 T+L 500 guide, featured in the January issue of Travel + Leisure®, and on www.travelandleisure.com is based on data collected in the Travel + Leisure 2012 World’s Best Awards readers’ survey. The eleventh annual T+L 500 list included Vedema and also featured Vedema on the January 2013 issue cover. For more information on Vedema Resort, please visit www.luxurycollection.com/vedema or for further information please call (0030)2108993790 or email info@vedema.gr. Santorini is the island where nature shows its most incredible secrets, offers the most beautiful sunsets and the most incredible views on the very deep blue of the Aegean Sea. Welcome to Vedema, a Luxury Collection Resort bringing an unrivalled level of luxury and style to one of the world’s most beautiful islands. Built around a 400-year-old wine cellar, it preserves the traditions of a classic Greek village. Situated in the middle of emerald vineyards and overlooking Santorini’s renowned ebony beaches, presents the treasures of the Mediterranean. Built in traditional white-washed Cycladic-style, our 45 villa village immerses guests in the sophisticated, relaxed philosophy that captivates Santorini. Radiant colours and distinctive island-style interiors welcome guests into the resort’s Suites. All majestic lodges include a bedroom, living space and gracious marble bathroom, filled with natural Mediterranean sunlight and featuring striking sea, village or garden views. Whether you prefer a casual breakfast served on your terrace, a light lunch poolside, or an intimate dinner for two beneath a canopy of stars whilst surrounded by vineyards. In Vedema you can’t expect anything less than a culinary experience that is the pick of Mediterranean and far beyond imagination. Our wine bar offers daily wine tasting from the most indigenous Santorini wines.